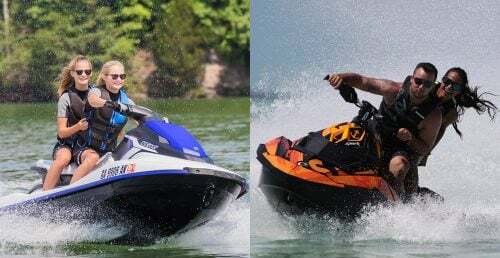 Both the 2019 Sea-Doo Wake 155 and Yamaha Waverunner VX Limited are PWC that come ready for tow duties. Let’s see how they compare…by the numbers. 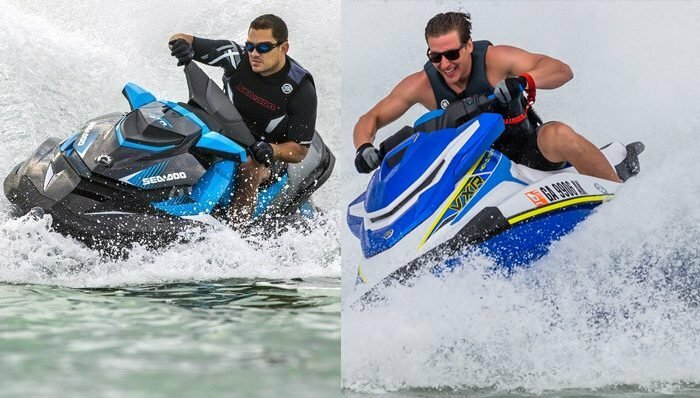 Personal watercraft, or PWC, are an extremely fun way to enjoy the open water and have some fun in the sun. They are fast, agile and a blast to rip across the surface of the water. Today’s PWC can carry you and at least one passenger and are fun for the whole family. They are also great for water skiing, kneeboards, inflatables and other towable fun. 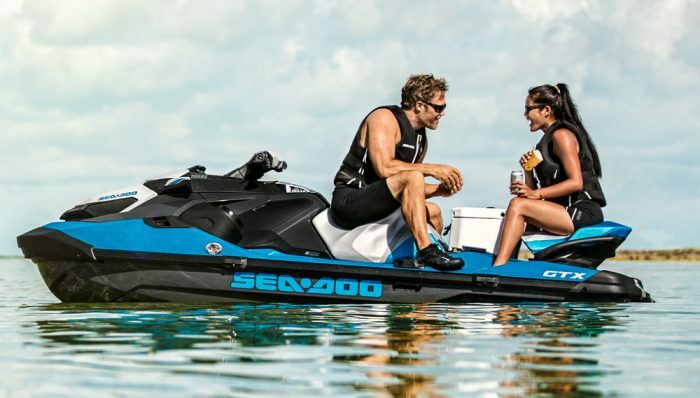 Both Yamaha and Sea-Doo, two of the biggest brands in PWCs, offer models for 2019 that are designed for getting maximum enjoyment from using towables. Let’s see how two of these models, the 2019 Sea-Doo Wake 155 and the Yamaha WaveRunner VX Limited fair against each other, by the numbers. What about these two models make them amazing for use with towables? Plenty, especially in the case of the Sea-Doo. 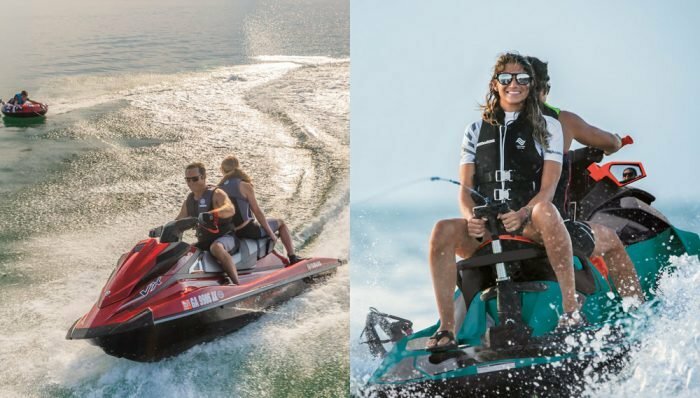 As we’ve seen with their Fish Pro model, Sea-Doo is looking to take control of the specialty PWC market in 2019. The Wake models are designed to make the most of the water and the time you spend on it with friends and family. 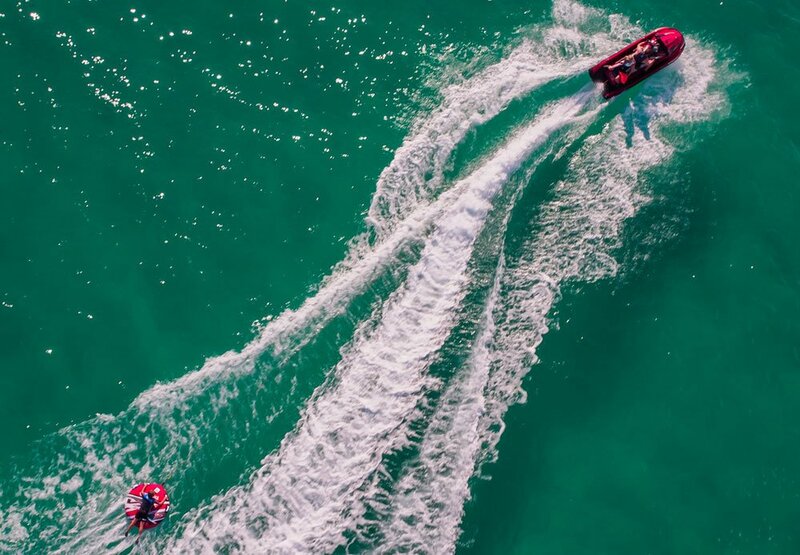 The 2019 Sea-Doo Wake 155 has a speed-based Ski mode, which helps you find the optimal speed for towing and is adaptive to the type of towing you’re doing, whether it is a wakeboard, or a skier. Along with that is a Variable Trim System for optimal performance. 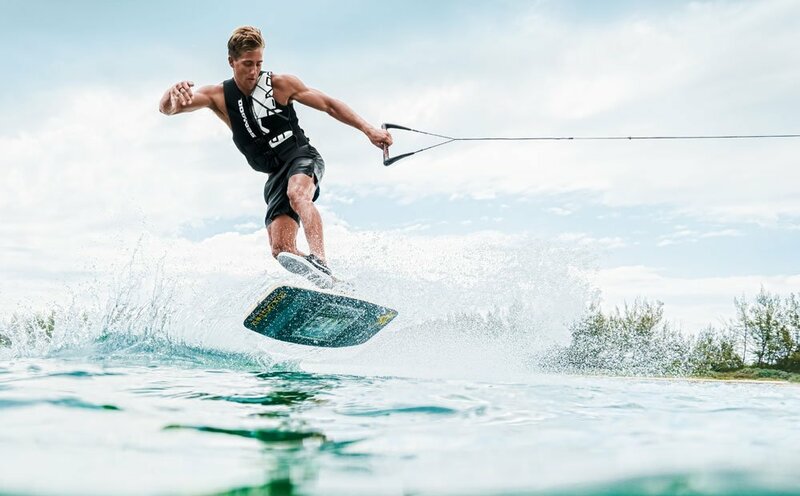 It has a three-position retractable ski pylon and a removeable wakeboard rack. There is even a boarding ladder to help get your skier back on the Wake when it’s time for a break. 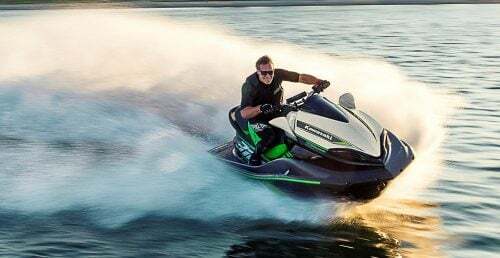 The Yamaha WaveRunner VX Limited is aimed more at the inflatable market and is an amazing machine for pulling a tube across the water. The WaveRunner can carry a rider and two passengers and is decked out in a sleek red finish. Here’s where it gets cool for tubers – the VX Limited comes with a color-matched tube made specifically for this machine. It also has an on-board 12-volt tube inflator and storage place for the tube and tow rope. Once inflated, there is a tube holder for moving from spot to spot, or heading back in to the dock for a little rest and refreshment. 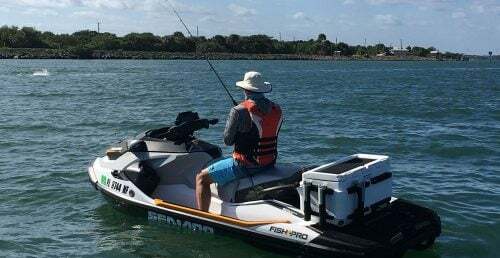 The VX runs Yamaha’s TR-1 high-output, 1,049cc marine three-cylinder, four-stroke engine. This engine powers a 155mm high-pressure pump and will scoot across the water on regular pump gas. Yamaha WaveRunners are also well known for their dependability and durability. 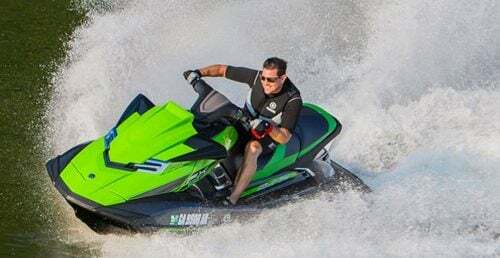 I was at a dealership recently and the manager was talking about a WaveRunner she sold. She said they don’t often mark down WaveRunners because people will buy them regardless and the dealership doesn’t make much money back on service. A screaming motor that will last? Sounds good, doesn’t it? 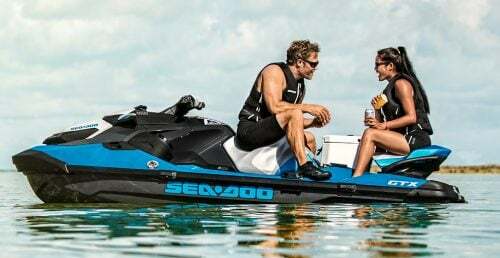 And speaking of legendary engines, the 2019 Sea-Doo Wake 155 runs on a 1,494cc ROTAX marine triple that has a closed-loop cooling system and a fully digital throttle system controlling an intelligent fuel injection system. The throttle has a Sport Mode, ECO Mode, Slow Mode and a speed limiter. These modes alter the massive power output the engine is capable of, to fit the type of activity you’re into at the moment. Need to run all-out? Go with Sport Mode. Want to conserve fuel, ECO mode is your friend. There’s more, but honestly, if you’re looking at these machines, you really need to head to your local dealership and see them in person. 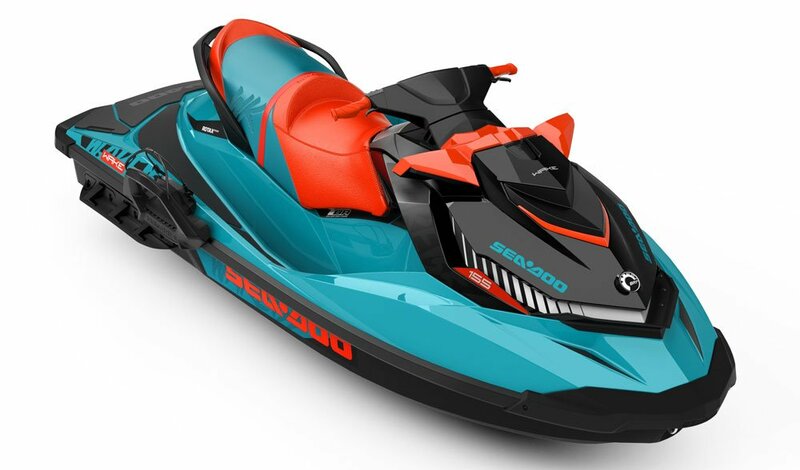 The 2019 Sea-Doo Wake 155 comes in a sick teal blue metallic/lava red color. If you’re into towable sports and want a machine to tackle that with gusto – yes, I said gusto – check one out. They start out at $11,999. Tubing. Tubing and cruising. 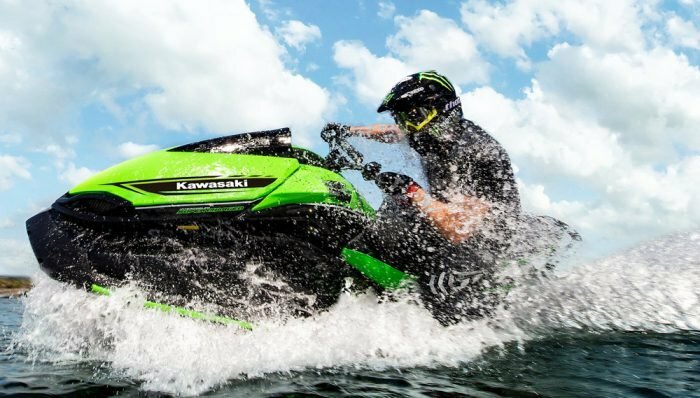 Check out the WaveRunner, you can’t go losing. Ok, I’ll stop. Seriously though, the VX Limited is a great machine for cruising and tubing and having fun. 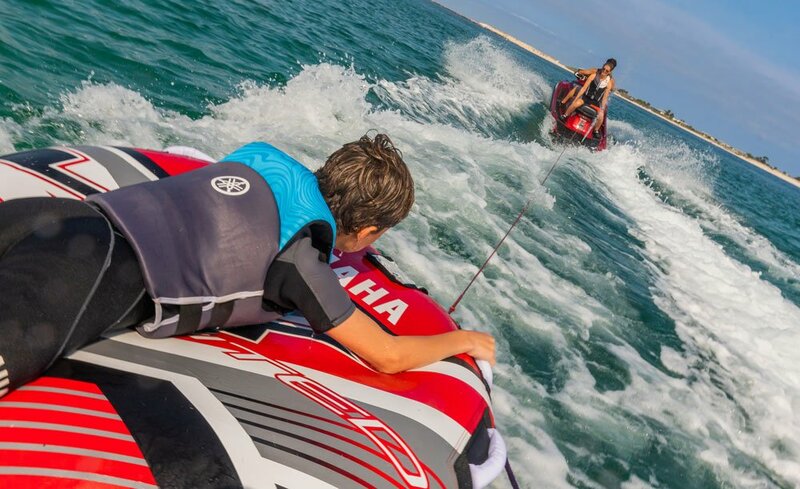 You can easily jump in with other towable sports, too, so have no fear – just have fun! It comes in a deep metallic red color and starts out at $11,199.